Journalism professors say the Chronicle Herald's purchase of more than two dozen Atlantic Canadian newspapers is bad news for local communities and unionized workers at the papers. 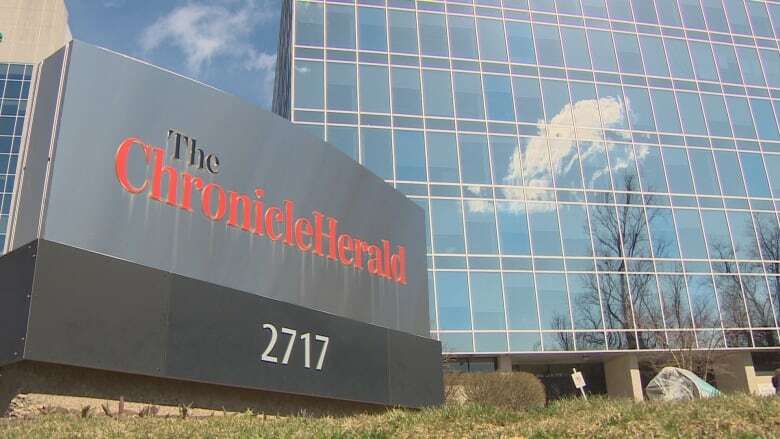 The acquisition of more than two dozen newspapers in Atlantic Canada by the parent company of the Chronicle Herald is prompting concerns about the future of news coverage in those communities and unionized workers at those papers. The sale by Transcontinental Inc. of 28 of its publications (including one online) was announced Thursday. The purchase is being made by SaltWire Network Inc., a newly created media group that publishes the Chronicle Herald. For almost 15 months, unionized Herald journalists have been on strike and the paper has used replacement workers to write content for Nova Scotia's largest newspaper. University of King's College journalism professor Stephen Kimber said since the strike began, the Herald has been unwilling to negotiate in good faith with its striking workers. He thinks this doesn't set a good precedent for the union leaders at the papers SaltWire is purchasing. "What are they going to feel like, knowing that now they're facing [Chronicle Herald president] Mark Lever across the table for any new contracts?" Kimber told CBC's Maritime Noon. The Herald has previously denied bargaining in bad faith and has said it has made "extensive efforts to conclude and sign a new collective agreement" with Herald journalists. Lever said Thursday that the majority of the daily newspapers being acquired from Transcontinental are unionized. He said at the moment there are no plans to cut jobs. "We absolutely are doing this not to close businesses, but to grow businesses and we're going to need to acquire the talent that is required in the modern media world to advance our business and serve the people in the communities that we're in," Lever told CBC. But journalism professors at two Ontario universities are concerned about what the sale will mean. They believe some newspapers that are close geographically will be forced to merge, which will result in job cuts. Content could also be consolidated between the Herald and the other newspapers, said Chris Waddell, an associate professor of journalism at Carleton University in Ottawa. That would mean a story written for the Herald would be published in other papers owned by SaltWire Network, and vice versa. A move like that will take away the local flavour and breadth of journalism in Atlantic Canada, said Waddell. "That's not necessarily a great strategy in that," he said. "What that tends to do is homogenize local newspapers and take out some of their local distinctiveness and that may make it less interesting for people to read in those communities." Lever told The Canadian Press that content would be shared between individual papers as required, but supporting the community brands is a priority. "The goal of this is to give autonomy and some authority in those local brands so that they can have the resources to cover the communities that they serve better going forward," he said. Any closure of small community papers in Atlantic Canada could be disastrous, said Lisa Taylor. She grew up in North Sydney, N.S., and is now an assistant professor at Ryerson University's journalism school in Toronto. "I think it will be an incredible loss of the stories that matter to people's day-to-day lives no longer being told," she said. Many of the stories from smaller communities just don't make it into other media because they're "hyper local" and don't attract much attention, said Taylor. She said a scaling back of local reporting would be a blow, especially when coupled with a tough economy and Atlantic Canadian communities facing questions about their survival. "I think it's a really, really, unfortunate time to see a further reduction in basic daily journalism in a lot of these communities that are fighting for their very lives right now," said Taylor. However Douglas Barrett, a media management professor at the Schulich School of Business at Toronto's York University, said the current struggles of print journalism do not always extend to smaller outfits, like many of the papers involved in the Herald deal. He believes the acquisition is "a good fit," and said the newspapers are likely successful businesses worth buying. "The big story is that newspapers are crashing. The less told underlying story is that small market papers are doing fairly well," said Barrett, who attended Dalhousie University in Halifax. "Lots of them go to most of the households in the communities they serve. People who live in small towns are really interested in what's goes on in those communities and there's nobody else to cover the municipal elections and who won the local peewee hockey game and so on." He said the smaller papers also don't usually have much — if any — competition, and consequently, if residents want to advertise, that paper is the only vehicle. Bonnie Shaw lives in Truro, N.S., and is worried about the fate of the Truro Daily News, one of the papers being bought up by SaltWire. "I would rather keep it local because here where it is now, we get all of our interesting things and everything around us and all about Bible Hill and everything and I think that way the paper's dedicated to just that," she said. 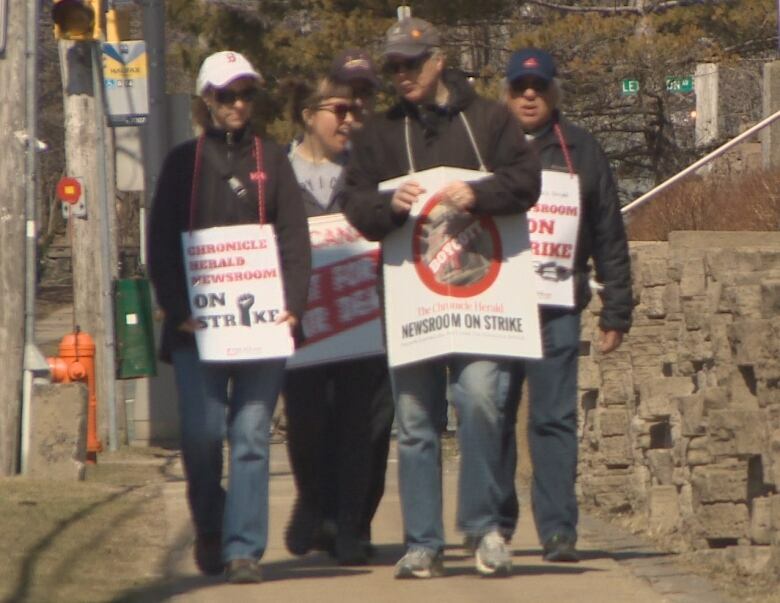 The CBC's Canadian Media Guild belongs to the same parent union as the striking Herald employees, CWA Canada.